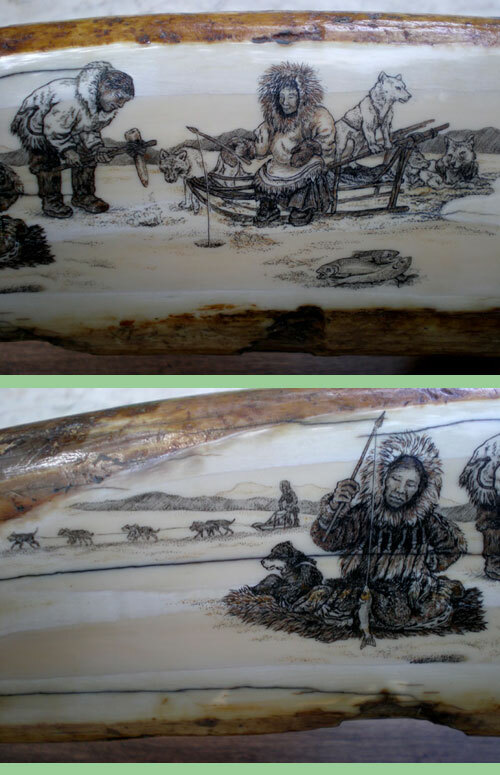 Here on a piece of fossilized walrus ivory is an Inuit family, in traditional dress, catching a meal or two. Dad has the hard job of cutting a new hole through the ice. The sled dogs are an important part of the family and seem to be enjoying the outing too. Approximately 6” long.